Looking for a USED F8? 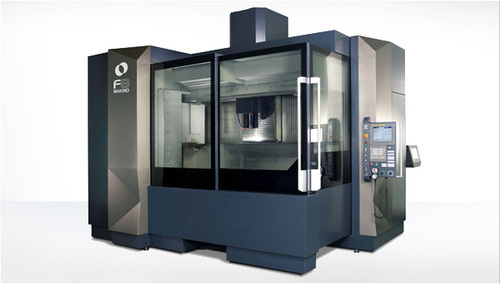 The F8 large, vertical machining center is designed to provide the power, speed, precision and versatility to attack both large production part applications as well as big die and mold components. The F8 is designed to provide stiffness and rigidity for chatter-free, heavy cutting, roughing and finishing on the same machine, agility for high-speed / hard-milling and accuracies for tight-tolerance blends and matches typical of complex, 3-D contoured geometry associated with die/mold and medical production. The unique machine design provides unparalleled access to ease setup and changeover reducing WIP and overall lead-time. Looking to Purchase a New MAKINO F8?